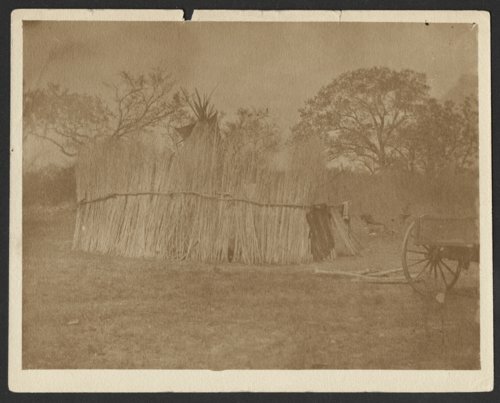 This is a photograph of a Cheyenne "stockaded tepee." The stockade is made of brush used for protection against the wind as well as marauders. Funds for digitization provided by Mr. Steve Peckel in memory of William Chalfant.